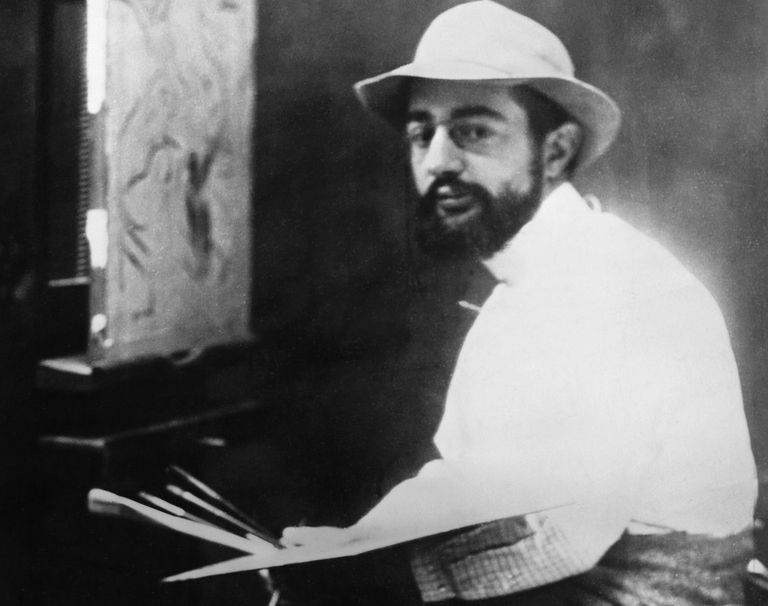 Henri de Toulouse-Lautrec at work (Photo: Corbis / Getty Images). Henri de Toulouse-Lautrec (born Henri Marie Raymond de Toulouse-Lautrec-Monfa; November 24, 1864–September 9, 1901) was a French artist of the Post-Impressionist period. He worked in multiple media, producing depictions of the Parisian art scene of the late 19th century. Henri de Toulouse-Lautrec was born in the town of Albi, located in southwestern France. He was the first son of a French count and countess, which made Toulouse-Lautrec an aristocrat. Toulouse-Lautrec did not have a title himself, but if he had not died before his father, he would have inherited the title of Comte (Count). Toulouse-Lautrec's parents had a second son in 1867, but the child died in infancy. After his parents separated, Toulouse-Lautrec went to live with his mother in Paris, around age eight. He was cared for by a nanny, and the family soon noticed that he was always sketching on his schoolwork papers. Rene Princeteau, a friend of the Count, visited occasionally, giving Toulouse-Lautrec his first art lessons. A few works from this early period still survive. In 1875, at the behest of his concerned mother, a sickly Toulouse-Lautrec returned to Albi. It’s possible that some of his health issues stemmed from his parentage: his parents were first cousins, which put Toulouse-Lautrec at a higher risk for certain congenital health conditions. However, it was an injury at age thirteen that changed Toulouse-Lautrec's physicality forever. Within the span of a year, he fractured both femurs; when the breaks did not heal properly, due to what was likely a genetic disorder, his legs stopped growing altogether. Toulouse-Lautrec's torso grew to an adult size, but his legs did not, so his adult height was around 4’ 8”. Toulouse-Lautrec's physical limitations prevented him participating in some of the leisure pursuits of his peers. This limitation, in addition to his interest in and talent for art, led him to absorb himself in his art fully. 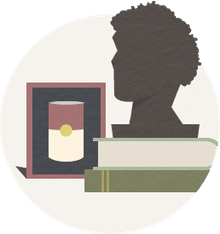 He attended college after a brief stumble: he failed his initial entrance exams, getting into university on his second attempt and going on to earn his degree. Princeteau, Toulouse-Lautrec's earliest teacher, was impressed by his pupil's progress, and he convinced the Comte and Comtesse to allow their son to return to Paris and join the studio of Leon Bonnat. The idea of her son studying under one of the foremost painters of the time appealed to the Comtesse, who had big ambitions for young Henri, so she readily agreed—and even pulled some strings to help assure her son's acceptance into Bonnat’s studio. Joining Bonnat’s studio was a perfect fit for Toulouse-Lautrec. The studio was located in the heart of Montmartre, the Paris neighborhood famous for being the home of artists and the center of bohemian life. The area and its lifestyle had always held an appeal for Toulouse-Lautrec. Once he arrived, he rarely left for the next twenty years. In 1882, Bonnat moved to another job, so Toulouse-Lautrec moved studios to study for another five years under Fernand Cormon. Among the artists he met and befriended during this time were Emile Bernard and Vincent Van Gogh. Cormon’s teaching methods included allowing his students to roam the streets of Paris to find inspiration; at least one of Toulouse-Lautrec's paintings of this era depicted a prostitute in Montmartre. Toulouse-Lautrec participated in his first art exhibition in 1887 in Toulouse. He submitted work under the pseudonym “Tréclau,” an anagram of “Lautrec.” Later exhibitions in Paris saw Toulouse-Lautrec's work displayed alongside that of Van Gogh and Anquetin. He also participated in an exhibition in Brussels, and sold a piece to Van Gogh’s brother for his gallery. From 1889 until 1894, Toulouse-Lautrec was part of the Independent Artists’ Salon, where he shared his work and mingled with other artists. He painted several landscapes of Montmartre, as well as several paintings using the same model who helped him achieve notoriety with his earlier painting The Laundress. In 1889, the Moulin Rouge cabaret opened, and Toulouse-Lautrec began the association with the venue that would become such a huge part of his legacy. He was commissioned to create a series of posters. Following this initial collaboration, the Moulin Rouge reserved seats for Toulouse-Lautrec and often displayed his paintings. Several of his most famous paintings were created for or inspired by the Moulin Rouge and other nightclubs of Parisian nightlife. His images remain some of the iconic imagery of the elegance, color, and decadence of the time. Toulouse-Lautrec also traveled to London, where he was commissioned to make posters by several companies.While in London, he befriended Oscar Wilde. As Wilde faced heavy scrutiny and eventually an indecency trial in England, Toulouse-Lautrec became one of his most vocal supporters, even painting a famous portrait of Wilde that same year. Despite his popularity among some circles, Toulouse-Lautrec remained isolated and frustrated in other ways. He became an alcoholic, favoring hard liquor (particularly absinthe) and famously hollowing out part of his walking cane to keep filled with drink. He also spent a considerable amount of time with prostitutes – not just as a patron, but because he reportedly felt a kinship between their situation and his own isolation. Many of the denizens of the Parisian underworld served as inspiration for his paintings. In February 1889, Toulouse-Lautrec's alcoholism caught up to him, and his family sent him to a sanatorium for three months. While there, he refused to be idle and created a series of nearly forty circus paintings. After his release, he returned to Paris, then traveled throughout France. By the fall of 1901, Toulouse-Lautrec's health had declined severely, in large part due to the aftereffects of his alcohol abuse and syphilis. On September 9, 1901, Toulouse-Lautrec died at his mother’s estate in southwestern France. After his death, his mother and his art dealer worked to continue promoting his works. Toulouse-Lautrec's mother paid for the creation of a museum in Albi, the Musée Toulouse-Lautrec, which now houses the single largest collection of his works. In his short life, Toulouse-Lautrec produced thousands of works, including drawings, posters, paintings, and even some ceramic and stained glass pieces. He is noted for his ability to portray highly individualized portraits, especially of people in their working environments, and for his association with Parisian nightlife. He has been portrayed in several works of fiction, most notably the 2001 movie Moulin Rouge!, and remains a recognizable name for even those outside the art world. Ives, Colta. Toulouse-Lautrec in the Metropolitan Museum of Art. New York: The Metropolitan Museum of Art, 1996. Michael, Cora. “Henri Toulouse-Lautrec.” Heilbrunn Timeline of Art History, https://www.metmuseum.org/toah/hd/laut/hd_laut.htm.